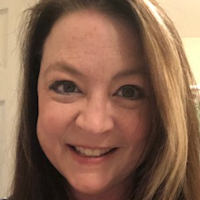 Hello, my name is Anne McCutchen and I am a Licensed Professional Counselor for the state of Tennessee with 20 years of experience working as a counselor in Private Practice, for agencies, inpatient alcohol and drug rehabilitation, and counseling military service members and their families. My expertise includes a variety of issues, including, but not limited to trauma, motivation, self-esteem and confidence, depression, anxiety, PTSD, coping skills, anger management, grief/loss, bereavement, relationships, communication skills, parenting concerns, and career challenges. I have certification in Cognitive Processing Therapy, or CPT, and I also utilize DBT (Dialectical Behavior Therapy) and CBT (Cognitive Behavior Therapy). When the situation calls for a briefer time in therapy, I utilize Solution-Focused Counseling so that when a client is very time-limited, they still acquire the skills and techniques needed to carry out into the world and be successful. Christian Counseling is also offered for those seeking faith-based services. I believe that the counseling environment should be a comfortable and safe place to spend time each session to really talk about issues and work through them. I am a very warm, empathetic and client-centered therapist. When you are in a session with me, you will experience a judgement-free zone. Although your challenges may take some time to work through, you will get tools from the very first session to begin working on in order to alleviate your symptoms and get to work right away. You won't have to wait weeks to receive the help and support, along with the skills that you are seeking. I look forward to working with you and commend you for your courage in seeking help. Anne is very attentive and non-judgmental. I highly recommend working with her. I always feel better after talking to her and she gives some real useful tips for everyday situations. Ann is very knowledgeably and she get to the root cause very quickly. I am very happy to have her as therapist. Anne is easy to talk to, compassionate, empathic, but also fun. She has made a very hard experience much easier - and I mean the act of opening up to someone about personal stuff. Without telling me what to do, she has guided my thoughts so that I look at all variables. And unexpectedly, she has opened my eyes to things I had only vaguely considered. I am grateful to her! Anne is great. She listens to my concerns and offers variety of ways to cope and help me come up with things to do to help myself. She answers in a timely matter and is always supportive. Anne gives me good advice and always responds very quickly. Also, just being able to be totally open with her helps me a lot. I loved talking to Anne she legitimately listened to me and helped me. I've had different therapists in my life, but Anne is my favorite so far. She is right on point, funny, caring, and insightful.